Instead of just throwing a traditional going-away gathering, make it a more lively celebration with a theme. The party can have a theme specific to the occasion prompting the trip or simply have a general travel theme. From Bon Voyage cruise ship cakes to wacky geographic trivia games, there are lots of things you can use to make your party memorable. After your departing friend been to your bash, he will want to stick around longer! 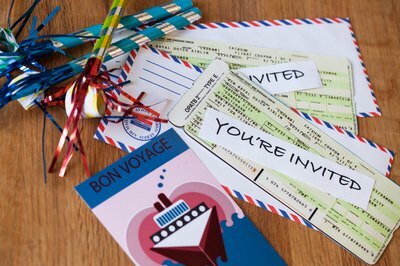 Make cruise ship-shaped invitations to mail to all the invitees. As guests arrive, place leis around their necks, as if they were arriving in a tropical destination or getting aboard a cruise ship. Serve cocktails. Dress up like a captain or cruise director. Create "ports of call" tables where guests can participate in different activities or try different foods from various cultures. Hang maps all around. Play a "pin the tail" game with pinning a sticker of luggage or a person on a world map. The goal destination should be where the person is going. 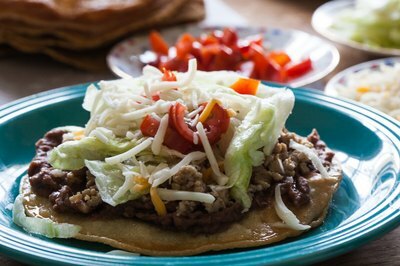 Set up several buffet tables, each with different themed foods, such as Mexican cuisine, Asian cuisine and European foods. Play a trivia game where guests have to match capital cities and countries or other country-related trivia. 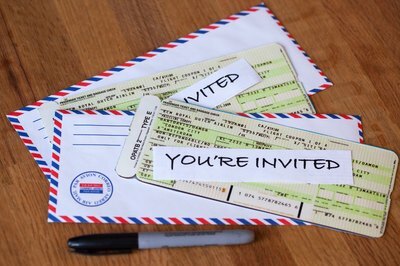 Make "ticket" invitations. Create a "map your route" game where guests have to create a travel route for the person going away using any means of transportation. The person with the most creative or quickest route is the winner. Share favorite travel stories. Make a scrapbook together as a group for the person going away. Some people have going away parties for their kids going off to college or leaving for a new job. This exciting and sometimes scary time leaves people wondering if they'll ever come back and where they'll go to in the coming years. It's a big adventure, similar to a race around the world, in which the traveler only has a set amount of time (the span of college) to be a little crazy and travel on their breaks before entering the real world of the workforce. So mimic the television show, "The Amazing Race." Break guests into groups and have a video scavenger hunt. Give each group a video camera and a list of locations and odd things they have to do, such as ask a Target employee where the personal lubricants are or pose for a photo with a firefighter. After everyone has come back from completing their lists, watch the videos. Choose a winning group based on who did everything and who got the best shots or funniest responses.